RIM’s BlackBerry Z10 was put on a video comparison with the iPhone 5 by Telekom Presse. The BlackBerry Z10, a pre-production model which will be similar or identical to the final design, appears to compete with the iPhone 5 very well in the hardware design. 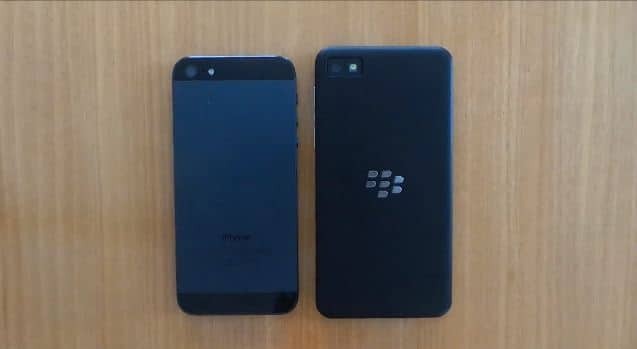 Since the software in the video, BlackBerry 10, is not the final version, only the hardware gets compared to the iPhone 5. The sites states that the Z10 is as fast and faster than the iPhone 5.